TOUCHIT was established by the best known IT journalist in Slovakia, Ondrej Macko. He has been working as a journalist more than 25 years and is very well known and respected amongst foreign journalists also. TOUCHIT is a magazine writing about the latest technologies, mobile devices, consumer electronics, photo and video, internet of things and other interesting technological topics. 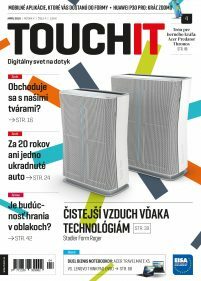 TOUCHIT is the only printed tech magazine in Slovakia making huge comparative hardware tests, which are recognized to be honest and independent. In magazine you can find also reports from the most recent global IT exhibitions and events (CES Las Vegas, IFA Berlin, MWC Barcelona, CeBIT Hannover, Google I/O, Apple WWDC, IDF, Computex Taipei, etc. ).